Corinium Vets permanently closed on 28th Sept 2018. For our clients' convenience, all pet records and Pet Health Club memberships have been transferred to our wonderful colleagues at Clockhouse Vets in Nailsworth. They have full access to our clinical records to ensure continuity of care and will also be sending out the reminders you would previously have received from us. 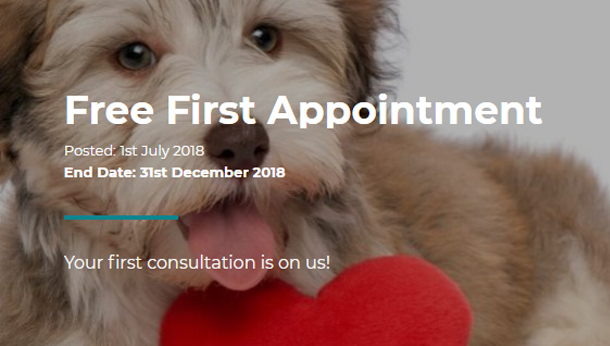 If you have a future appointment booked at Corinium Vets, a member of the team at Clockhouse Vets will be contacting you shortly to rebook this with them or you can call them about this or any other query regarding the transfer of your pet's care on 01453 834930. Should you wish for your pet's clinical records to be sent to an alternative Vets, please contact Clockhouse Vets or should you wish to cancel your Pet Health Club membership, please contact the plan administrator Animal Healthcare on 0800 587 0068. We would like to take this opportunity to thank our clients for your many years of custom and wish you all the best for the future.